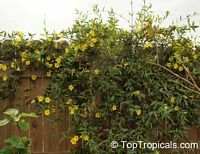 A nice fast growing evergreen woody vine (twining to 20' or more) with fragrant yellow flowers that appear in late winter or early spring. Variety 'Plena' has double-flowers. 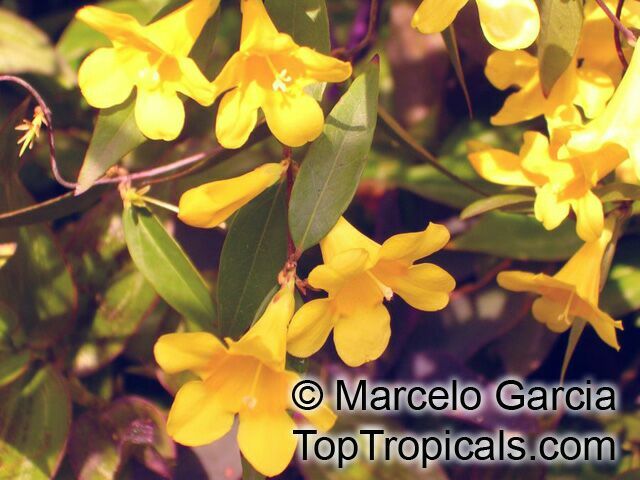 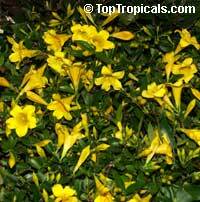 In north Florida, blooming Carolina jasmine is one of our first signs of spring. 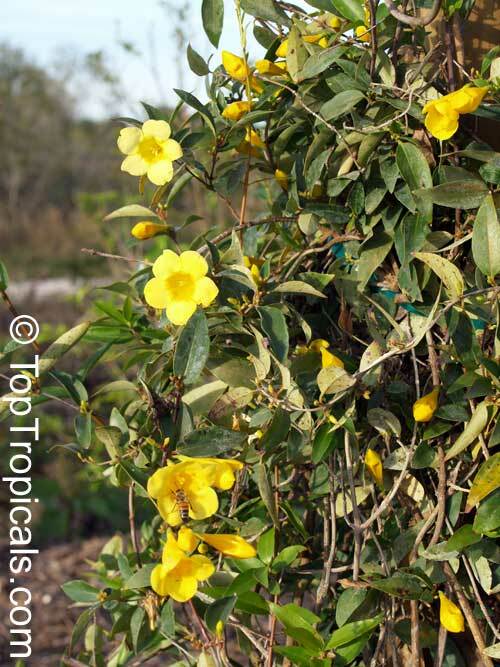 Can also be used as a ground or bank cover. 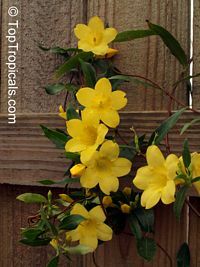 It can add color and light fragrance to entryways and patios and is often seen spilling over walls or cascading down the sides of containers. 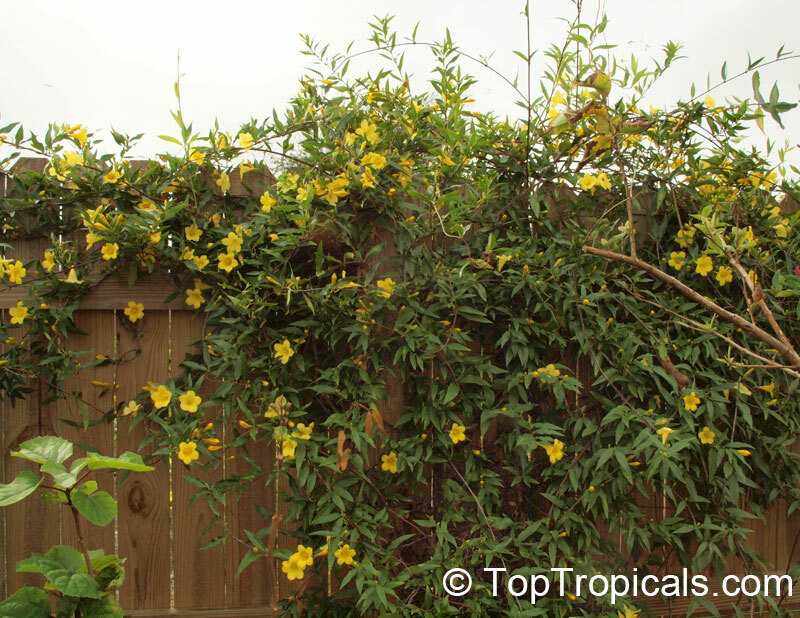 Plant can become top heavy so needs to be tied to trellis or fence. 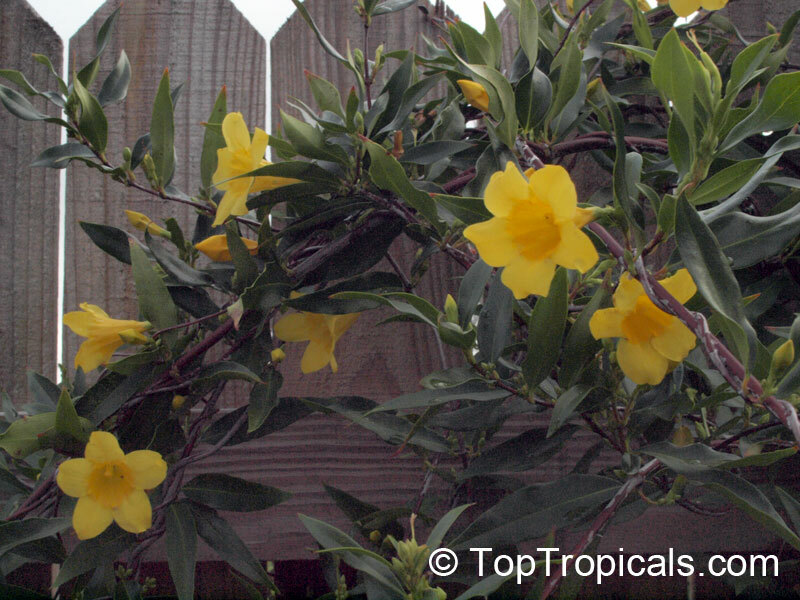 Prune after winter blooming. 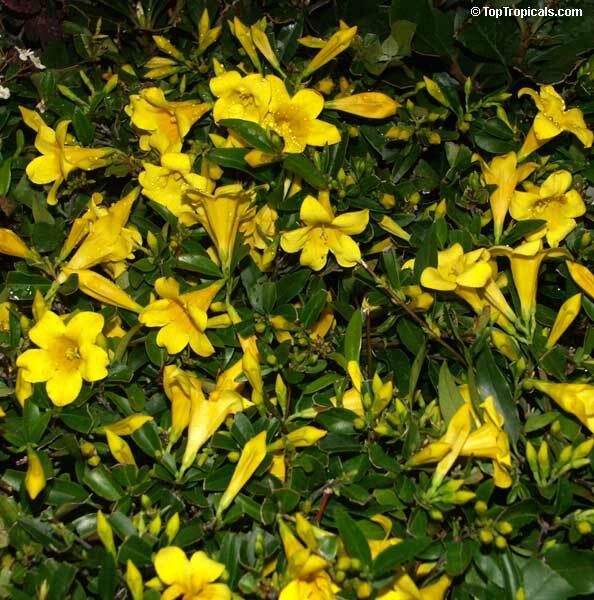 Hardy to 15 degrees F. This plant has numerous therapeutic uses, although extreme care should be taken as all parts of the plant are considered toxic and potentially fatal if ingested. 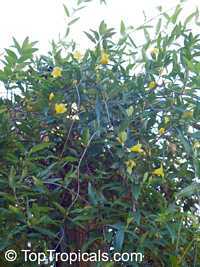 All parts of this plant contain the strychnine related alkaloids gelsemine and gelseminine and should not be consumed. 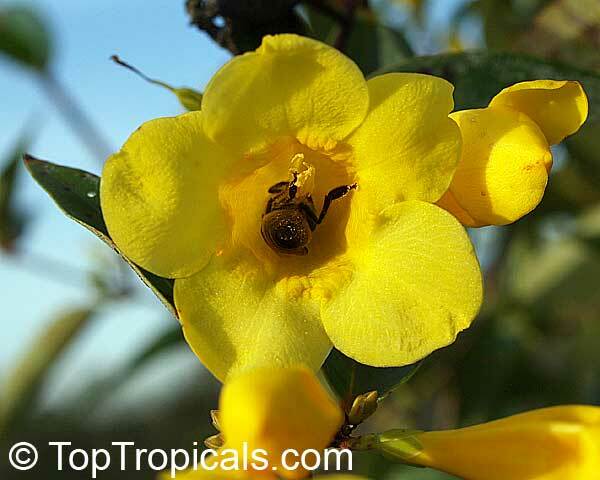 The sap may cause skin irritation in sensitive individuals. 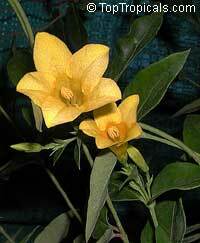 More info... Also sometimes placed in family Gelsemiaceae. 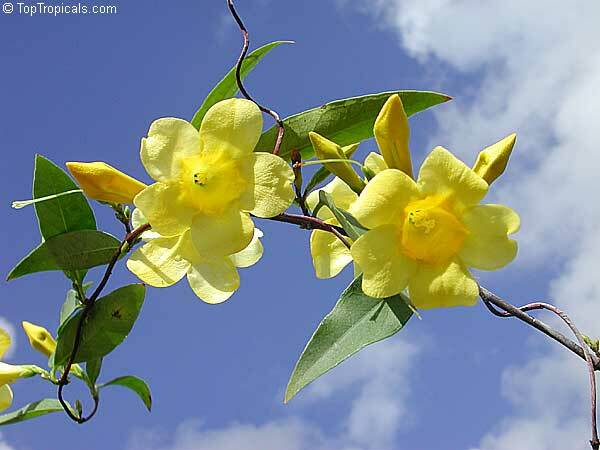 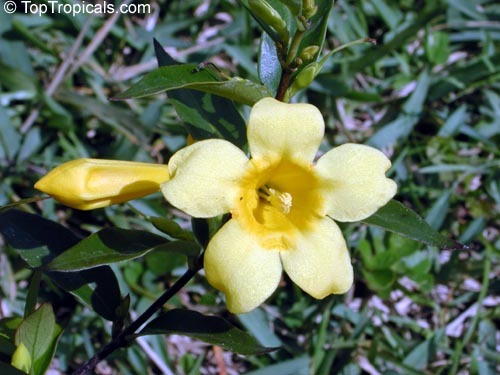 Carolina Jasmine. 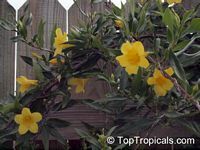 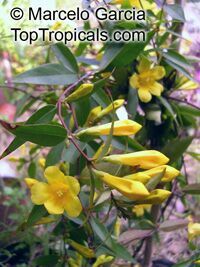 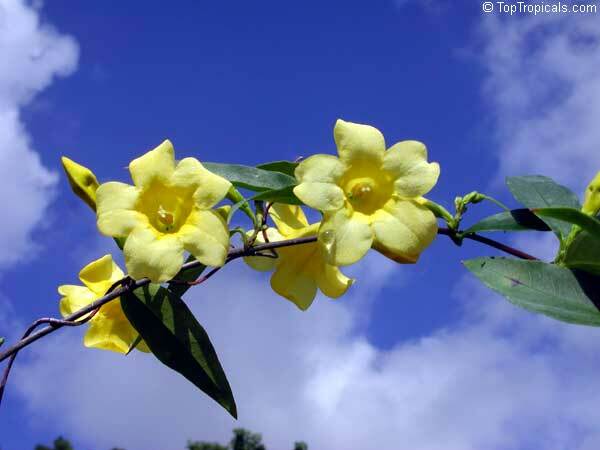 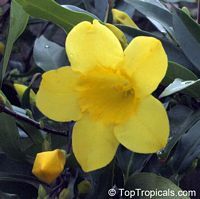 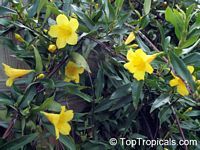 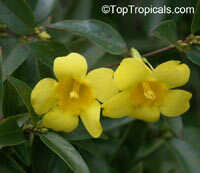 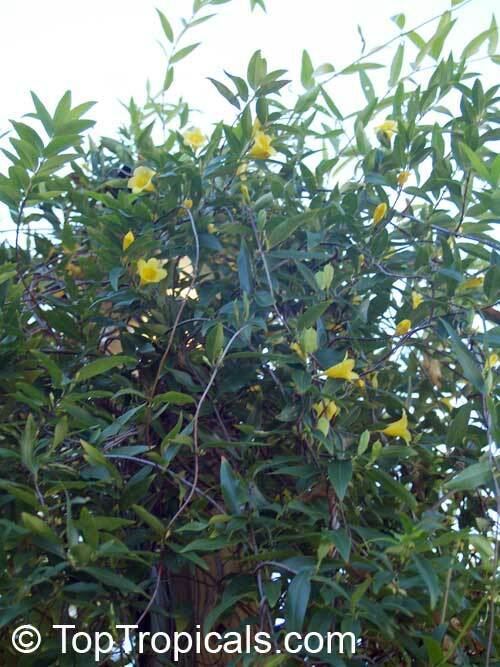 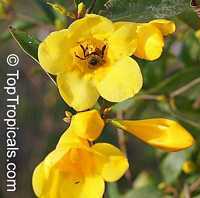 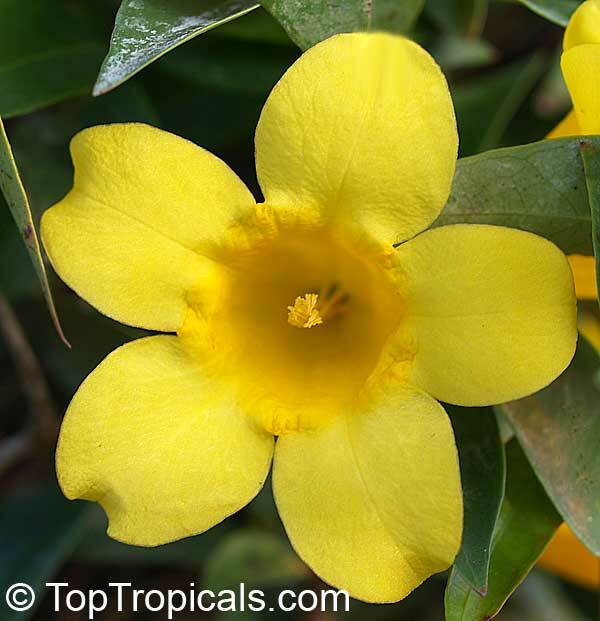 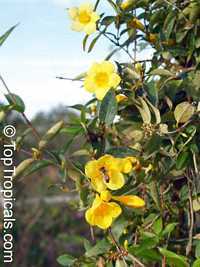 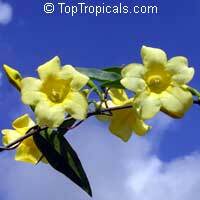 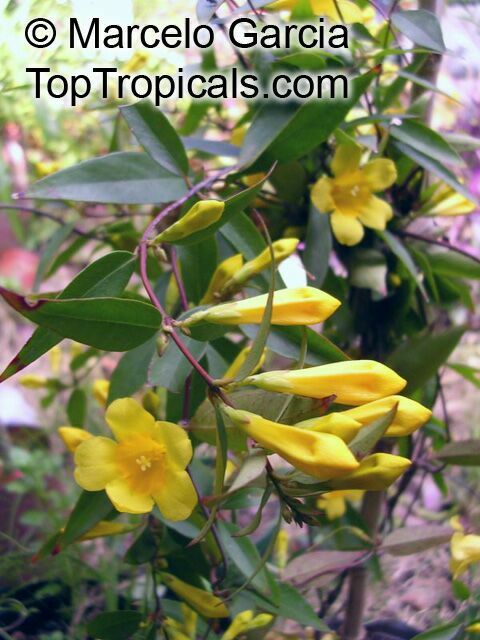 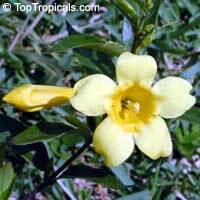 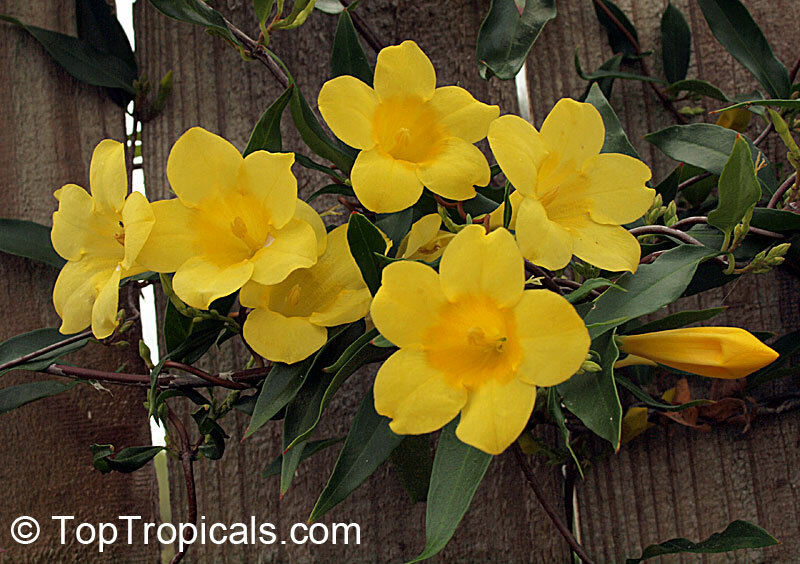 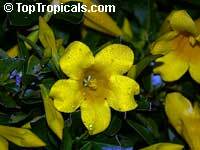 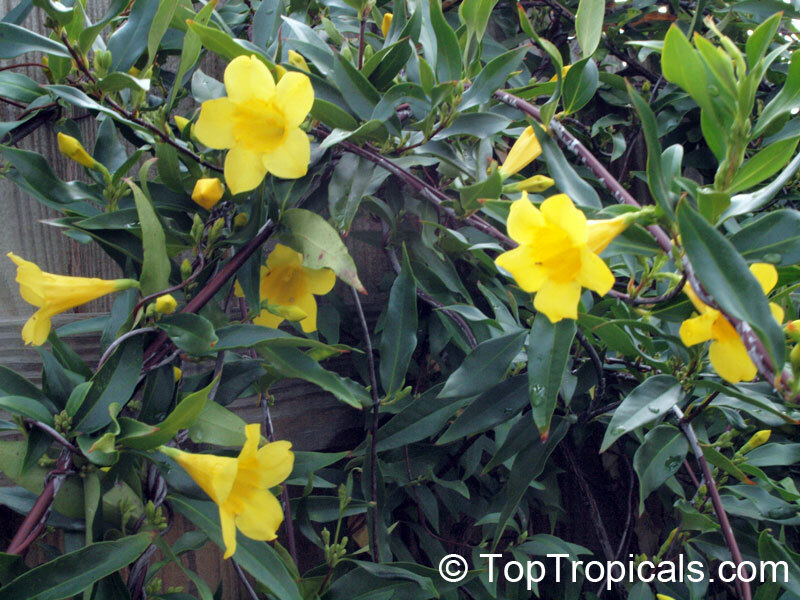 Fast growing, hardy vine with fragrant yellow bell-like flowers. Great for fences, pagodas. 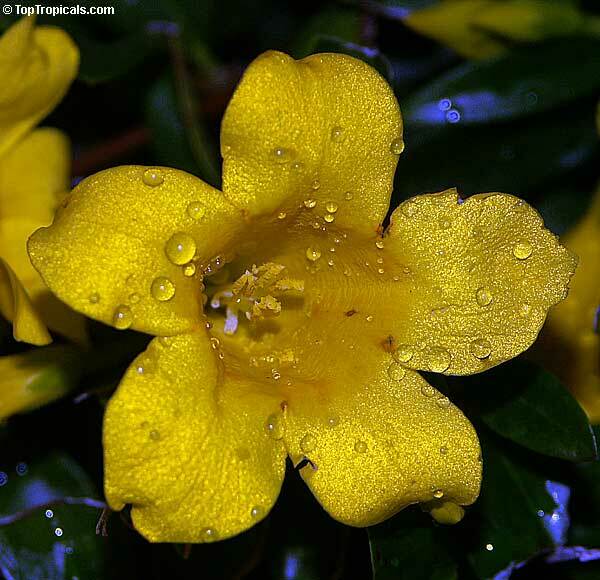 Takes some hard freeze without damage.